What is strange is that many of the other regional banks are so far behind the curve. If I look at the UK as an example, most banks offer relatively comparable services, there are some small differences but the gulf between each is very small. When you arrive in the UAE you realise that it's quite the opposite here, Emirates NBD, ADIB and HSBC lead the way, but the rest are trailing dramatically behind. The theory of competitive markets of course dictates that this will change very soon, I'm sure they'll all catch up! According to the firm, the move follows a strong reception from customers, opening two new premises in Abu Dhabi and Dubai. 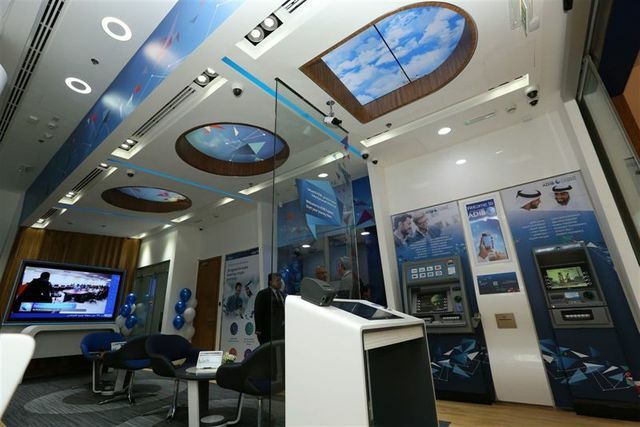 Located at the World Trade Center Abu Dhabi and Burjuman Dubai Metro station, the outlets are part of a new generation of digitally-enabled branch that combines the benefits of digital banking with a personalised service.